Is it time for a length check, or do you want to stretch out your hair with minimum heat? A blowout might be a good idea. It will not make your hair as sleek as flat ironing; however, it will give some length to your tight curls, coils or waves. Many people use the tension method to blow dry their hair, but it takes a long time and may not give you that fully blown out look. If you use a blow dryer with different comb and brush attachments or a 3in1 dryer, this can cut down drying time and provide a flawless finish. In this video posted by My Natural Sistas you can see a quick and easy way to achieve a blowout. Some important things to note from this video are: detangle before blow drying, separate hair into small sections and always use a heat protectant to protect those beautiful curls. Here is a video that reviews some of the best heat protectants by Shea Moisture. However, a quick google or Pinterest search can give you many product options. There are many styling options with blow outs, so you can try different styles each time. For example, you can do bantu knot outs, wand curls, flexi rod sets and braid outs. Blow outs can also be worn naturally, just pineapple hair at night to preserve the style. If you want a sleeker look, a blowout is also a perfect base for flat ironing. The harsh cold weather and wind of the winter months can be damaging to natural hair. If you’re in love with your natural hair texture, but you really need to put it away in a protective style for a while, natural-looking crochet braids are the way to go. This style is easy to do and very cost effective. First, start off with freshly washed and conditioned hair. 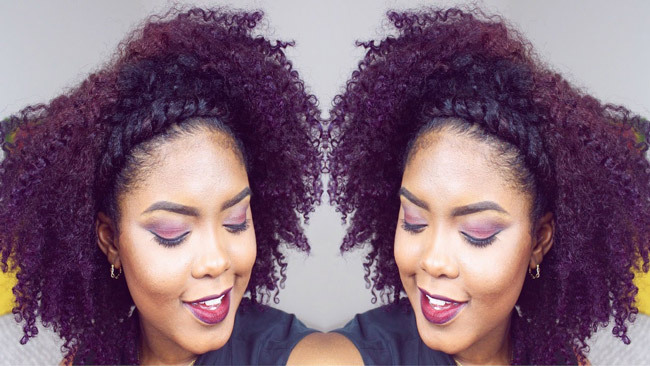 It is a good idea to deep condition, if you plan to keep the crochet braids up for at least two weeks. You can use almost any braid pattern. However, it is important to make sure the braids in the front are straight. This method makes it easy to part the hair different ways for multiple styles. The items you’ll need to complete this style are a crochet hook and Outre X-Pression Cuevana Twist Braid hair. 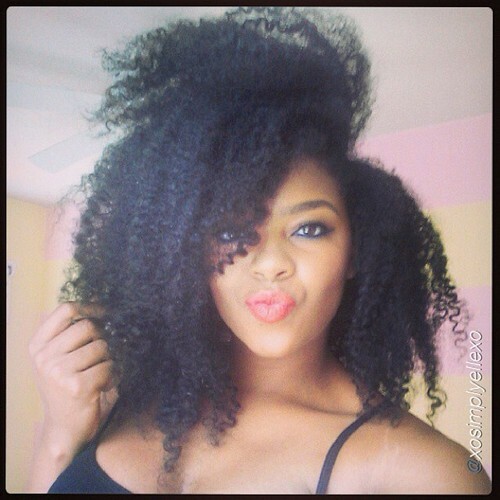 This hair matches the thickness of most natural hair to give you that effortless look. This brand can be rodded, twisted and curled in most of the styles that naturalistas do to their own hair. You can watch The Brilliant Beauty’s tutorial video here to get natural-looking crochet braids. In this video she uses three packs of hair in small amounts to keep it dense and more natural looking. She also shows you how to do the invisible part technique. She blow dried the hair, but it can also be flat ironed for a sleeker look. Everyone has their own way of doing crochet braids and there are so many styles that you can create. No matter what your budget is, there’s a technique for you. With crochet braids, you don’t have to spend a ridiculous amount of money in order to achieve a natural looking faux head of hair.Crochet braiding is not a hair style that’s as new as one might think.Black Women with natural hair and relaxers have been getting crochet braids for years with human hair or with tracks of hair that look like there are individual braids attached. Women used to get crochet braids if they didn’t want to sit too long and get individual braids in their hair. It was fast and convenient. You apply the hair by literally crocheting hair, with a latch hook tool, in between your own corn rowed hair. Some women use the braiding technique as an alternative to the traditional sew-in hair weave.